i've been a fan of michael powell's classically disturbing peeping tom since i first saw it many years ago. to me, the 60s were a real high point in horror film. and the fact that 1960 saw the release of both peeping tom in britain and then psycho here in the states surely was not a coincidence. both are incredibly psychological films dealing with the terrifying depths of subjectivity that lie within a mad man's mind. so...i have been wanting to getter a better sense of michael powell's films. it turns out that from a genre point of view, peeping tom was a bit of an anomaly and is perhaps the film that may even have destroyed powell's career due to it's controversial nature. however, similar themes can still be found in red shoes. 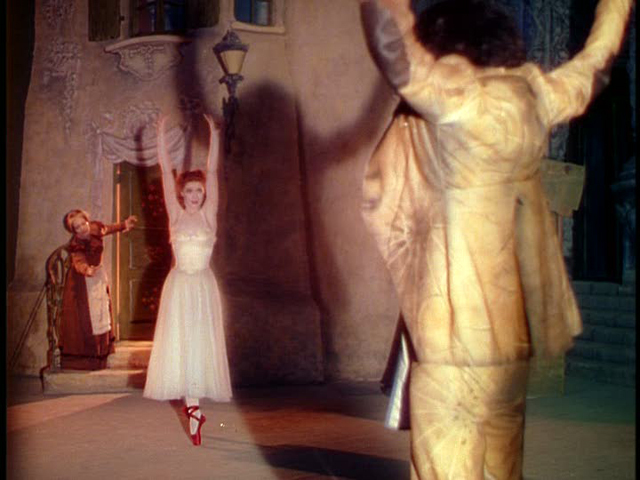 based on the hans christian anderson fairy tale, the film is a series of nested narratives as plays are performed within the film. and though not a horror film, there is a madman at the heart of this story. as well as love, hatred, subjectivity, and obsession. 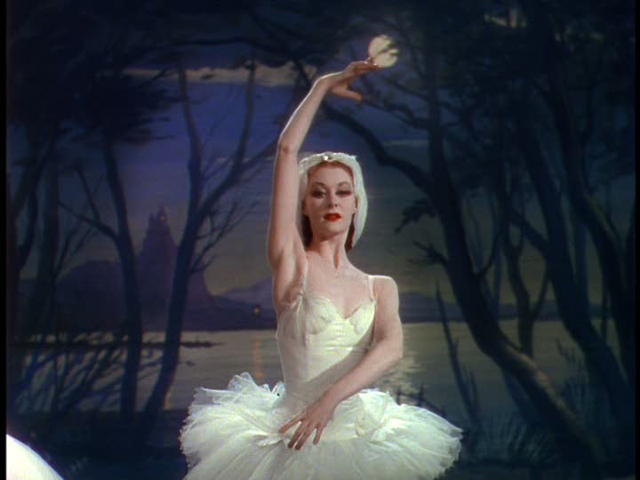 the imagery is rich and beautiful, with one of the best early exploitations of technicolor. martin scorsese considers this one of his early favorites. fans of ballet and dance will definitely appreciate the fact that the film employs real dancers who act rather than vice versa. the costumes, design and music are all rich and evoke the passion and intensity of the film.